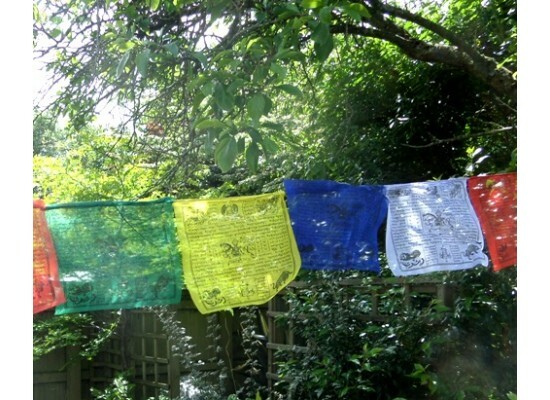 Brightly coloured block-printed horizontal prayer flags in durable polyester. 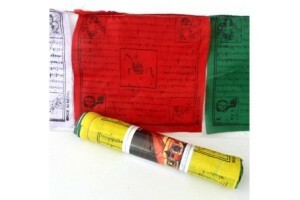 Flag size approximately 30cm x 28cm. 25 flags per string . 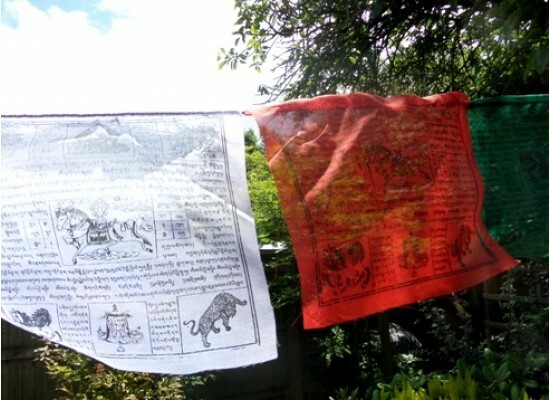 Prayer flags consist of auspicious mantras syllables and prayers which are wood block printed onto squares of thin cloth in each of the 5 Buddha colours. 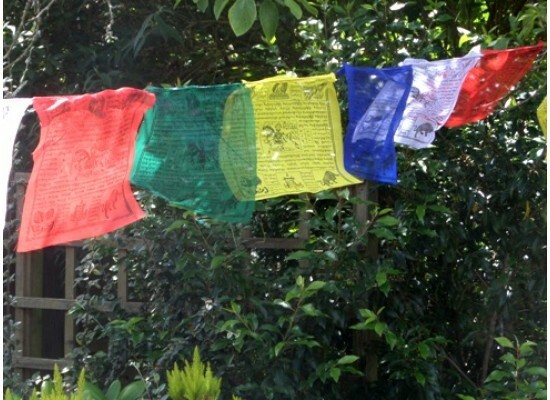 Tibetan Prayer flags are known as "Lungta" in Tibetan, which translates as "Windhorse". 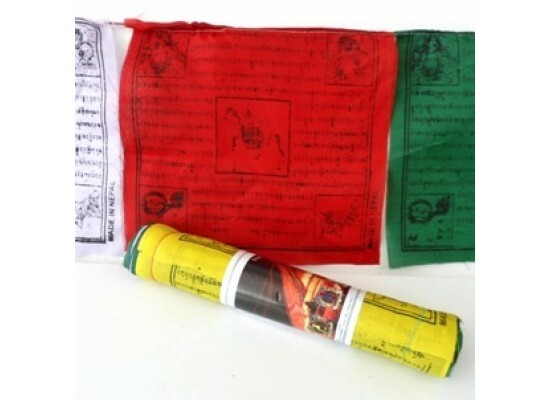 The image of the Windhorse is featured on the flags , with the 4 supernatural creatures at each corner: the dragon, the garuda, the snow lion and the tiger. The horse gallops like the wind carrying the wish fulfilling jewel. It radiates peace, prosperity, knowledge, success, long life, protection and health. The windhorse symbolises positive personal power which eliminates all hindrances caused by illness, accidents, malign spirits and astrological auspiciousness, bestowing personal power and good luck.